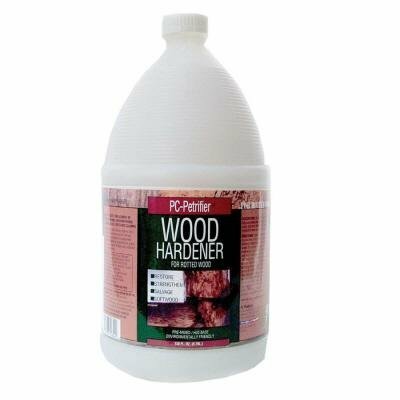 Only $58.27 PC-Petrifier Wood Hardener (1 Gal) 054983128442 128442 Protective Coating Co.
PC-Petrifier� is a single component adhesive, formulated to fully penetrate and revitalize rotted wood.� Modern technology has allowed us to develop a water base wood consolidant that is environmentally friendly.� PC-Petrifier's� low viscosity allows deep penetration into soft rotted wood fiber, restoring old wood to near structural integrity. �Seal and restore rotted soft wood fibers in window sills, sashes, frames, trim, decorative beams and columns, etc. PC-Petrifier� can also be used to prepare old wood for priming and painting. Apply to exposed wood grain to protect from damage.� Not for structural repairs. If you have structural wood damage, please see our PC-Rot Terminator�. ��Do not use in conjunction with PC-Wood Guardian� or other Borate products. 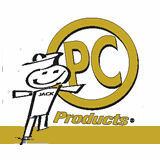 Protective Coating Company manufactures products to repair and restore various materials, including wood and concrete. The company, founded in 1954, is headquartered in Allentown, PA.